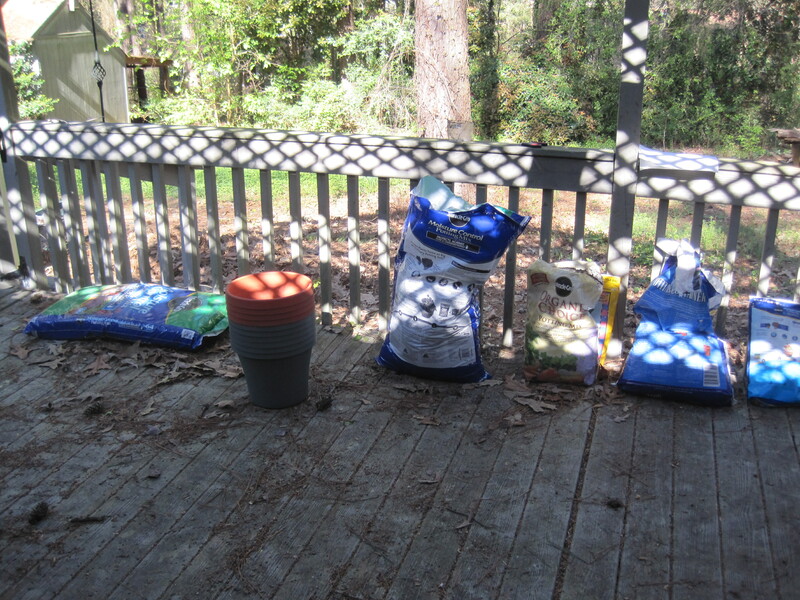 I knew I was going to have to do it this Sunday, so I got out all my stuff, my old bags of potting soil and my new ones, and set up to do this job. Somewhere after transplanting a few I thought of pictures. If I have pictures, then I’d have a potential blog post. You start with a pot and a plant. Turn the plant upside down, holding the plant with a spread hand. 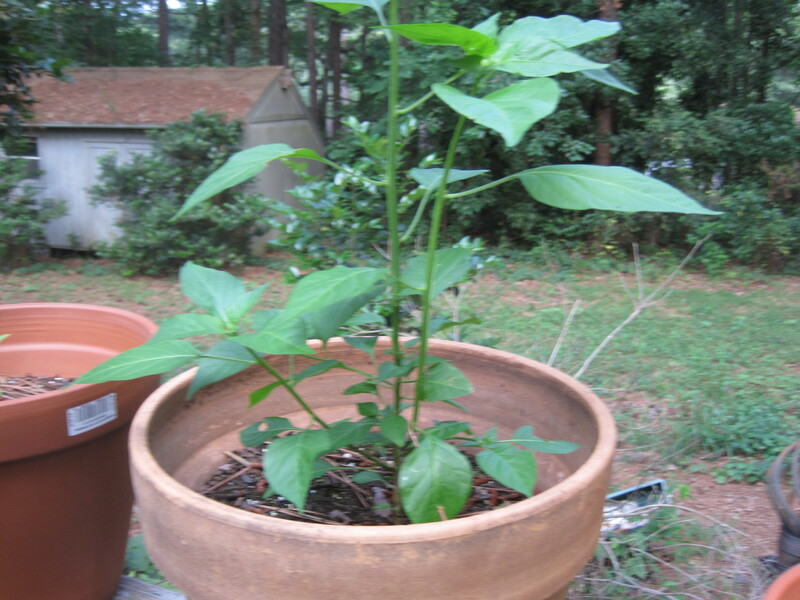 Tap the pot sharply and then the plant gets loose and you can pull the pot off. Note the root bundle? 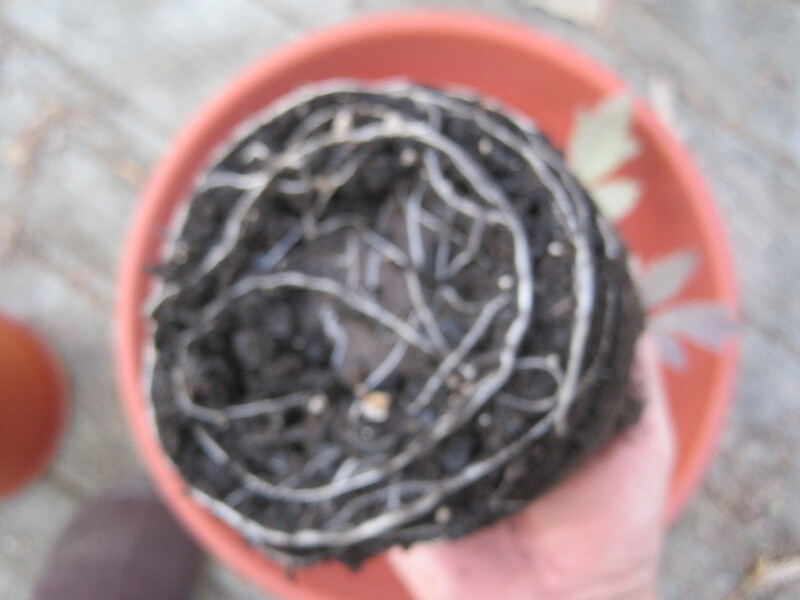 That will hold the clump of soil together as you put it into the pot. One thing I didn’t do last year is get big enough pots. 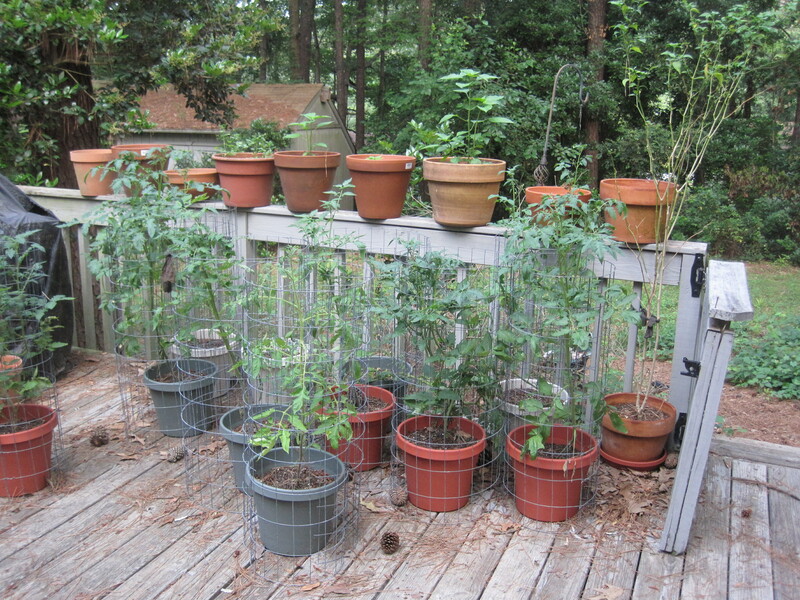 Big pots (12″ minimum for tomatoes) are expensive, but they’re a one time purchase, with any luck. You try to position that plant so only the last set of leaves are exposed. Then bury the thing. 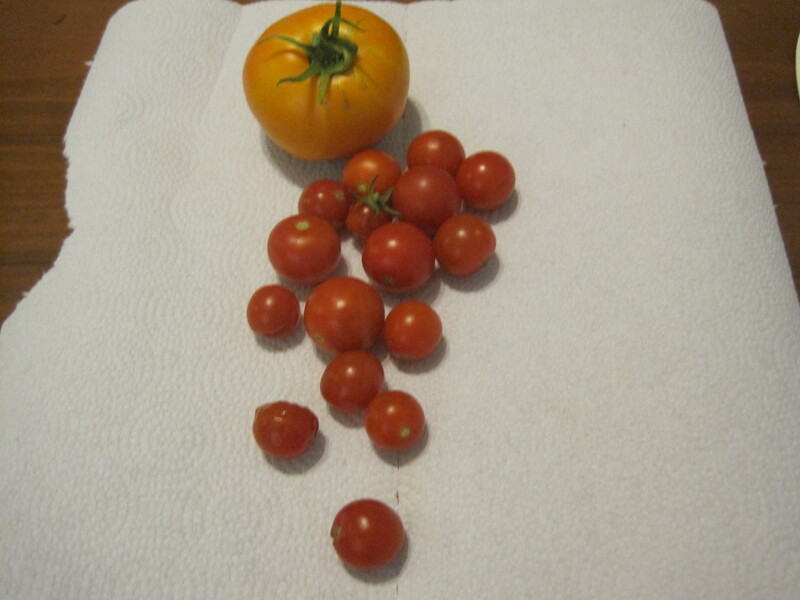 To note, Mike Stock’s suggestion that I let the tomatoes acclimate in the shade went so well I didn’t feel any hesitation transplanting these things. Next weekend we can put them out in the direct sun. Some notes: every plant that went straight from a Jiffy 7 pellet to a 6 inch pot had a great root system. Some of the plants that went from pellets to the peat pots to 6 inch pots to the big ones had really undeveloped root systems. I took those and tore off the peat pots when I could, threw the peat away. 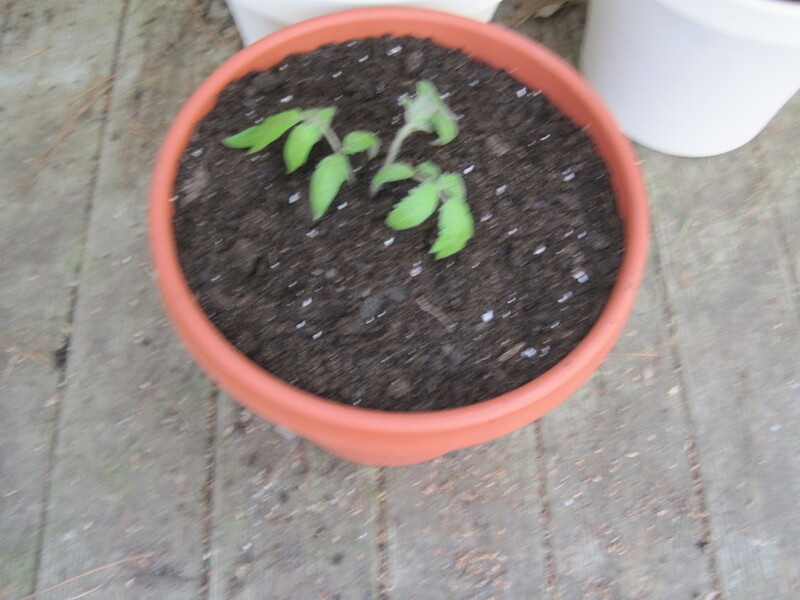 These plants don’t have much time to grow before the night time temperature is going to hit 55 degrees fahrenheit and that’s when tomatoes will flower. 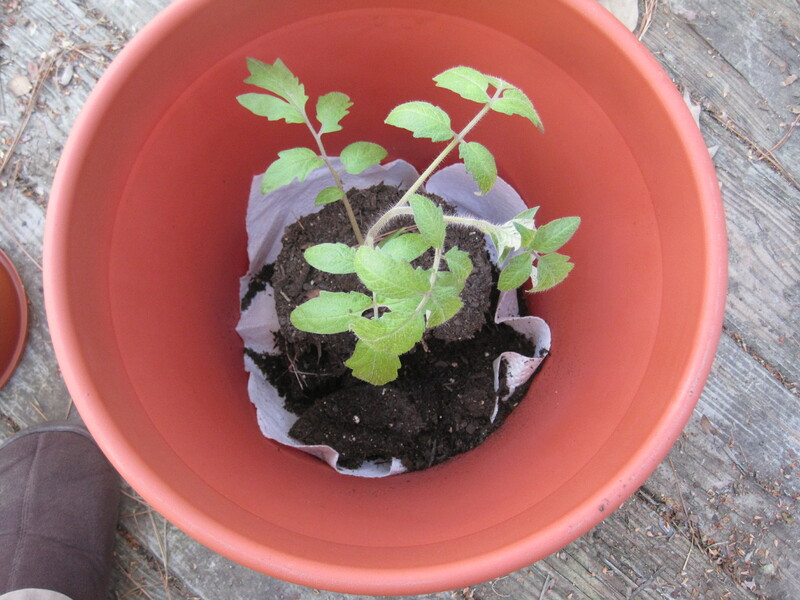 Tomatoes: from inside to outside? 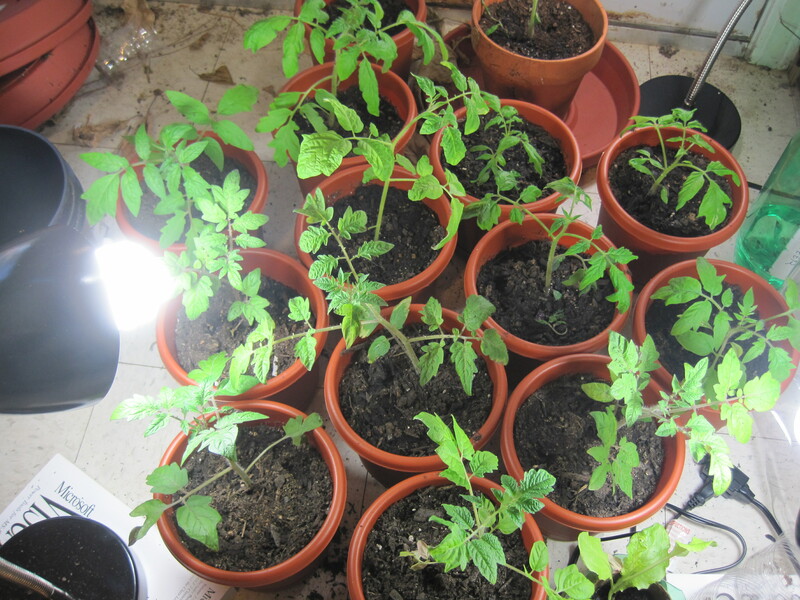 I have maybe 14 tomato plants under lights, in 6″ pots, and inside. I want them outside, if at all possible, before the weekend is over. Best path? 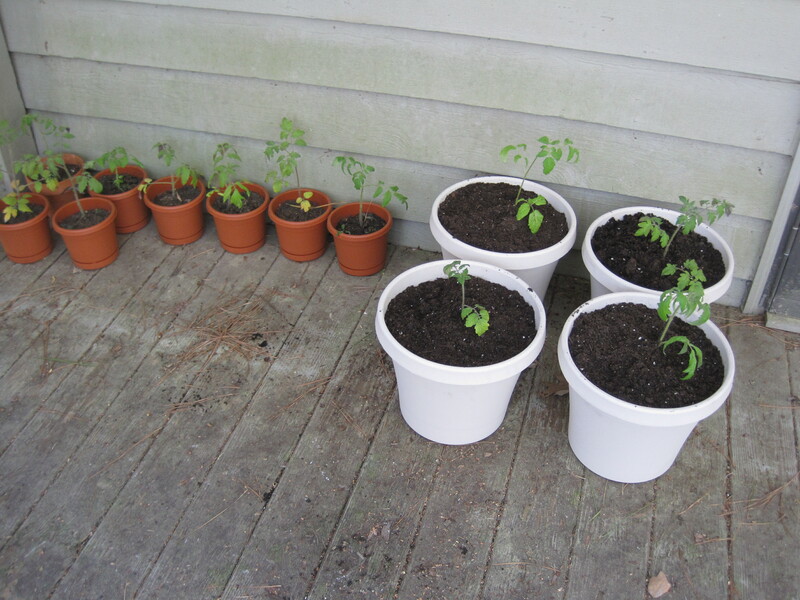 Toss them immediately outside and into 12″ pots? Harden them a couple days? 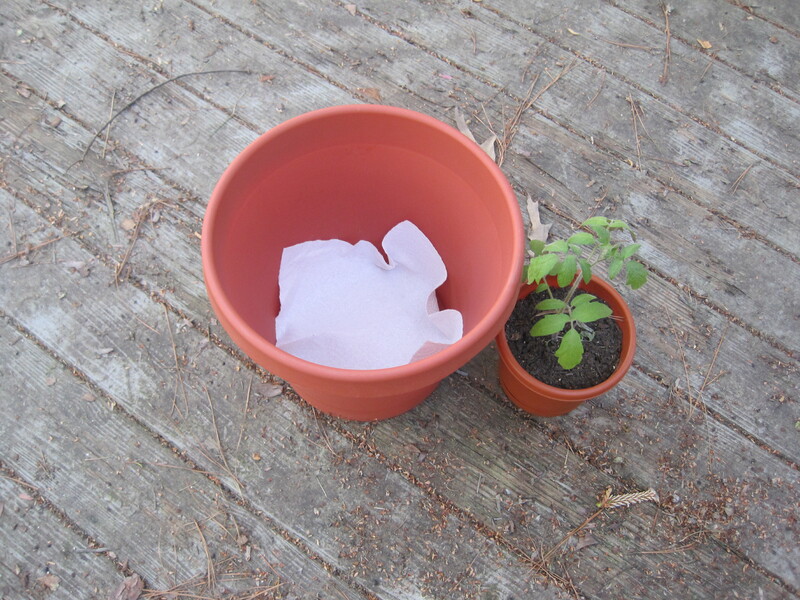 I don’t have all the time in the world to harden those plants; they’re going to have to suffer some regardless. 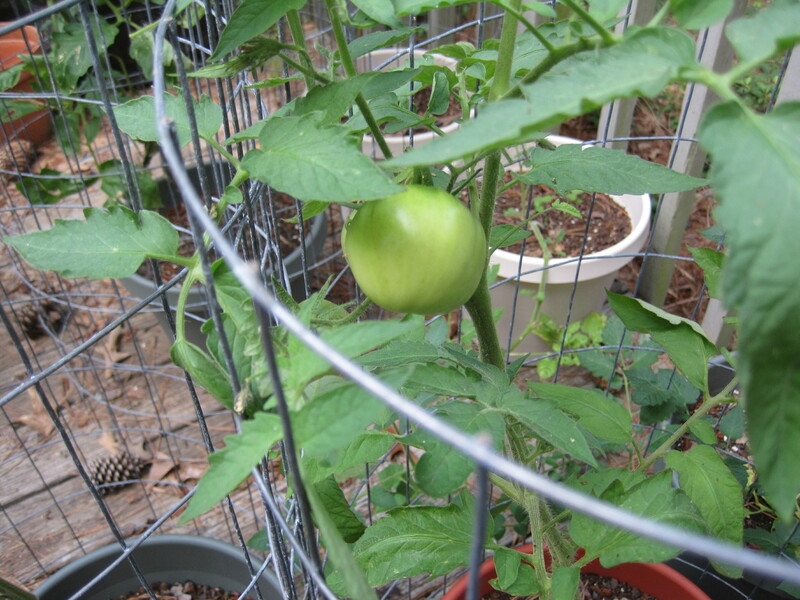 Back when the tomatoes were a little smaller. It’s a great little article in the New York Times, a comparison of heirlooms versus hybrids, and why it’s not that 19th century special that some little old lady used to grow in the Poconos that’s good for you, but perhaps more the Atkinson tomato that was grown by Auburn professors just a few years ago in a climate very similar to that of Georgia. 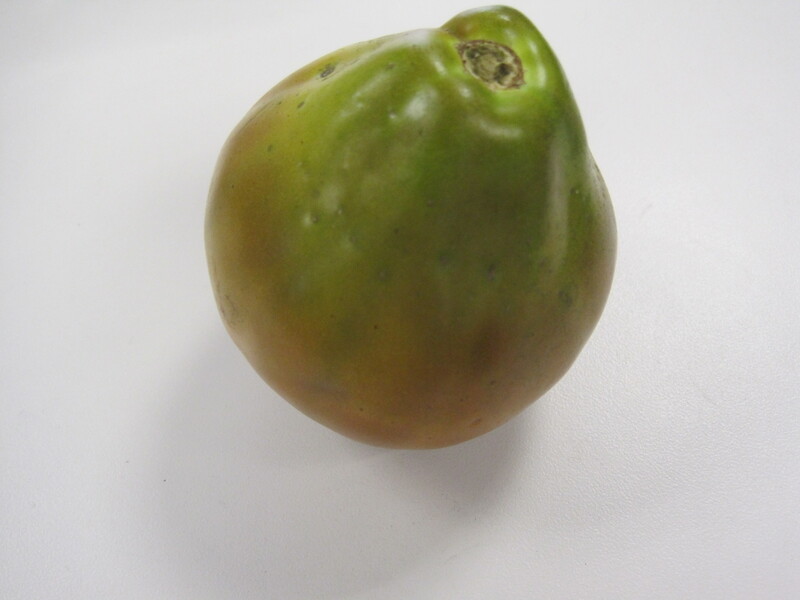 Heirlooms are best, this article suggests, when adapted to the microclimate in which you garden.